Russia has denied any involvement in the attack and has said it suspects the British secret services of using the Novichok nerve agent. London: Russian former double agent Sergei Skripal and his daughter were poisoned with a nerve toxin that had been left on the front door of their home in England, British counter-terrorism police said on Wednesday. After the first known use of a chemical weapon on European soil since World War Two, Britain blamed Russian President Vladimir Putin for the attempted assassination and the West has expelled around 130 Russian diplomats. "We believe the Skripals first came into contact with the nerve agent from their front door," said Dean Haydon, Britain's' senior national coordinator for counter terrorism policing. "Specialists have identified the highest concentration of the nerve agent, to-date, as being on the front door of the address," Scotland Yard said in a statement. Skripal, 66, and his 33-year-old daughter Yulia have been in a critical condition since being found unconscious on a public bench in the English city of Salisbury on March 4 and a British judge has said they may have suffered permanent brain damage. The attempted murder of Skripal, a former colonel in Russia's GRU military intelligence who betrayed dozens of Russian agents to Britain's MI6 spy service, has plunged Moscow's relations with the West to a new post-Cold War low. After Britain expelled 23 Russians it said were spies working under diplomatic cover, Russia followed by throwing out 23 British diplomats. The United States and other Western countries, including most member states of the European Union and NATO, expelled over 100 diplomats. Putin, who has been dealing with a deadly shopping centre fire in Siberia, has yet to respond, though Moscow has threatened to take retaliatory action. "An analysis of all the circumstances ... leads us to think of the possible involvement in it (the poisoning) of the British intelligence services," the Russian foreign ministry said in a statement on Wednesday before the announcement by British police. 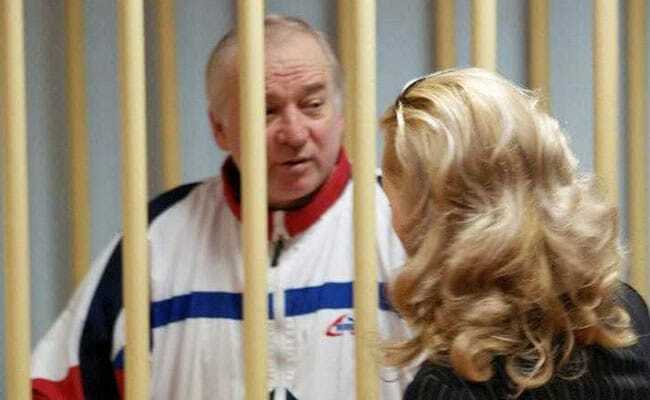 After the United States broke a Russian spy ring in 2010, Skripal was exchanged for the 10 Russian spies caught in the United States. Since emerging from the John le Carre world of high espionage and betrayal, Skripal lived modestly in Salisbury and kept out of the spotlight until he was found unconscious on March 4. British police said they would continue to focus their enquiries around Skripal's home address as the investigation continued.